Act today to reserve your spot! Be part of the most exclusive trip to the most desolate location. Photography, Sailing, Adapting to the pace of the planet. Stay tuned about the plans. Don't miss your place on the adventure of a lifetime! 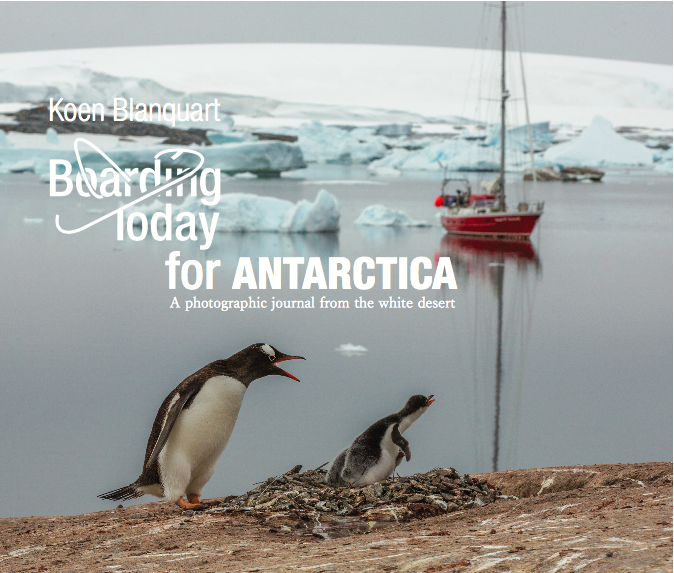 This year, Koen, the guide from Expedition Antarctica published a photo book about the expedition. See what it's like down there! Theres limited seats, so reserve your place today! Copyright © 2018 Expedition: Antarctica All Rights Reserved.